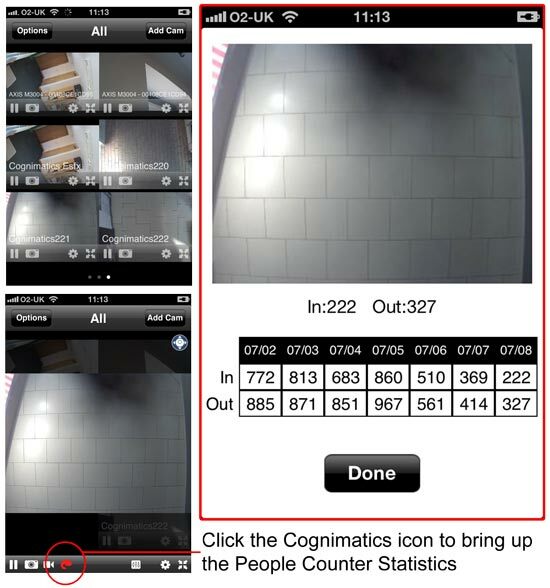 You can now view Cognimatics True View People Counter using EyeSpyFX iOS mobile app “Viewer for AXIS Cams”. Use the app to go to a camera that has the Cognimatics True View People Counter installed on it. 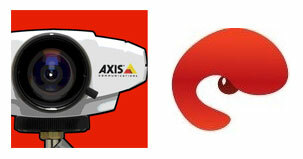 When you click on the camera you will see the RED Cognimatics icon appear in the feature list. When this icon appears it means that the app has detected the presence of Cognimatics People Counter ACAP app. Follow the link to bring up the Counter statistics. – mobile intelligence!